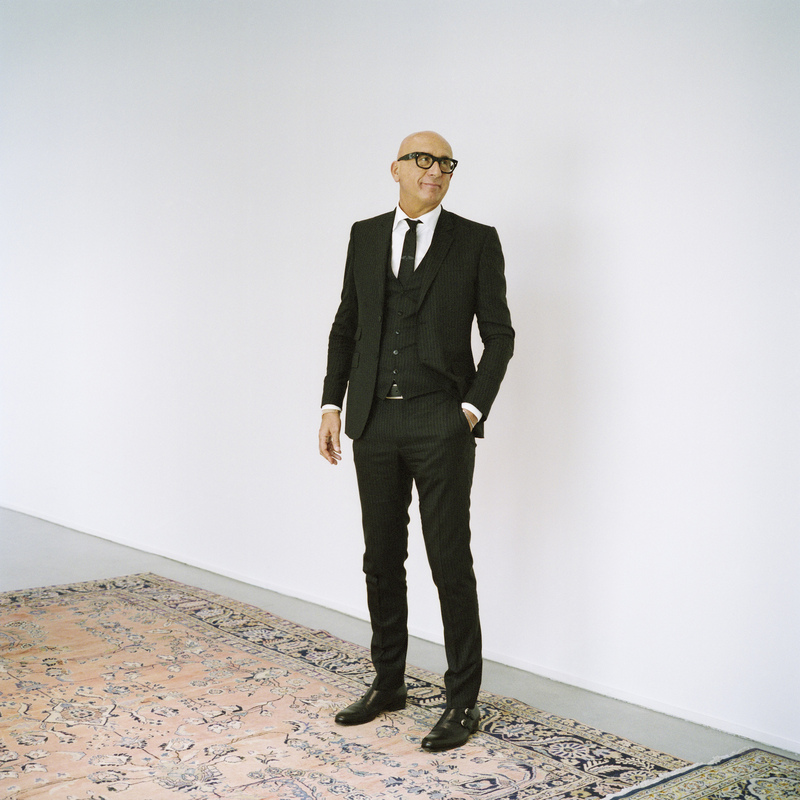 Fostering creativity, taking intelligent risks, putting people first: the secrets behind the success of the famous Italian fashion house are revealed in an exclusive Studio interview with the company’s president. 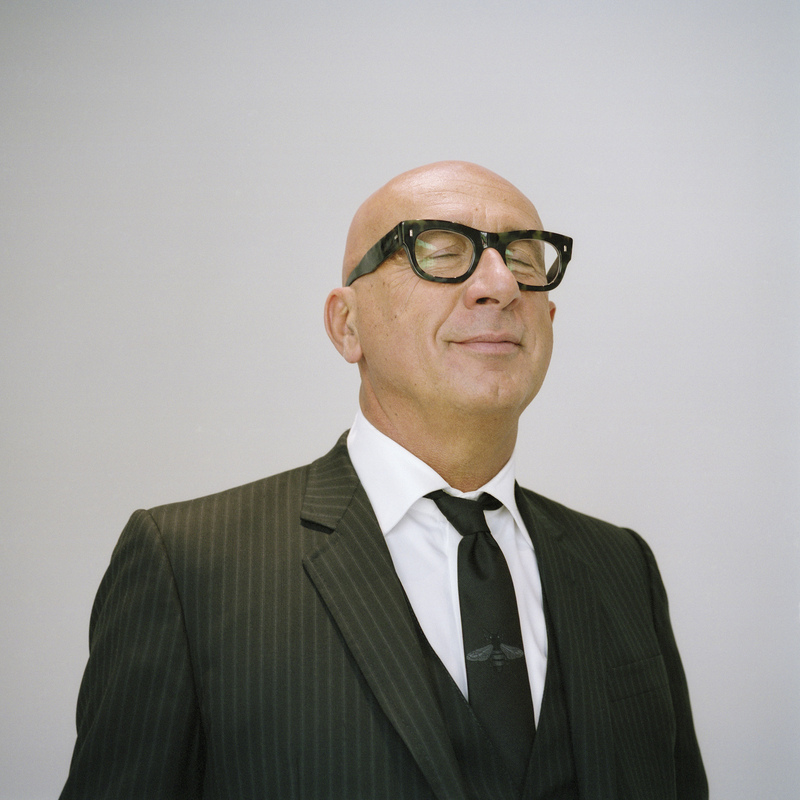 I’m scheduled to meet Marco Bizzarri, president and CEO of Gucci since December 2014, at the Gucci Hub – 35.000 square meters of post-industrial architecture in the eastern outskirts of Milan. The Italian fashion house moved its Milan headquarters here in 2016. Until recently, you would have been surprised to find Gucci out here, far from the high-end Milan shopping district and close to Linate airport and therefore to the world. The headquarters are also not far from the Rogoredo railway station, where the high-speed train departs for nonstop trips to Rome and Florence, where Gucci has offices, staff and – most importantly – its history and roots. 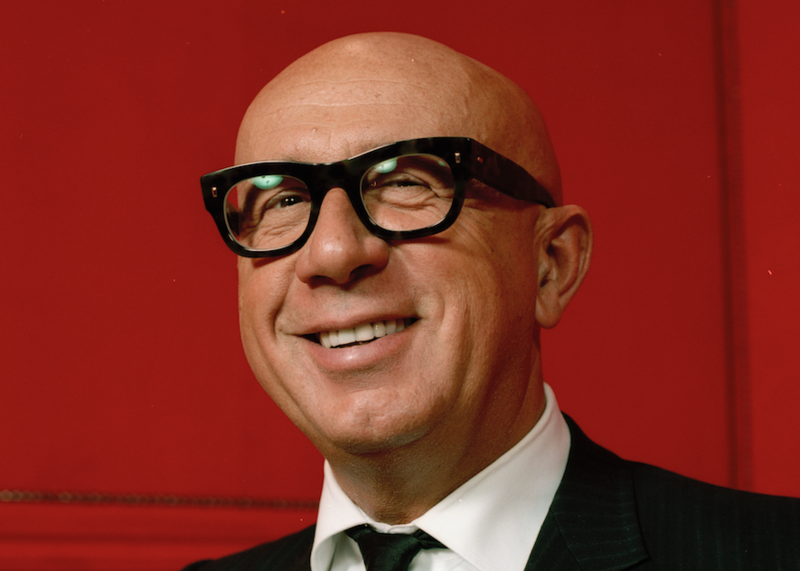 There’s a lot that’s new at Gucci, as conceived by Marco Bizzarri: the company is located between the big wide world and its own roots in an independent Gucci fortress far from the usual luxury areas. The building is shaped in the image and reflection of the taste, values and esthetic dogma of the company. It’s a citadel, but not a fortress – more Renaissance-era than Medieval – which means it doesn’t clash with its surroundings. Indeed, it feeds on them. This is the complicated game modernity requires us to play, and Gucci has never shied away from taking center stage. I’ve arranged the interview in order to understand what is behind the success Gucci has achieved in the last three years, a success rarely replicated in the history of luxury and fashion and the result of a 360-degree revolution: esthetics, communication, models. In other words, I’m here to investigate what’s behind these undeniably impressive numbers: 6.2 billion euros in revenues in 2017, up 44.6% over the previous year, and 80% growth in online sales (source: La Repubblica, February 2018). The most visible change is surely on the creative side, where Alessandro Michele made no small contribution to sketching out a new contemporary esthetic. Today the media, from the New York Times on down, and social media, from 14-year-olds on up, have coined the term “Guccification,” and a lion’s share of the credit goes to Alessandro Michele, who is justly celebrated for his insight. But it is also true that Michele got the job of the house’s sole creative director due to the insight of Marco Bizzarri, a Reggio Emilia native who wanted Michele by his side from the start– even though his choice surprised and shocked everyone in the industry. The events are well-known: After Bizzarri was appointed, a series of names were suggested for the brand’s creative director, with almost every person in the worldwide fashion designer elite being named at one time or another. Instead, Alessandro Michele – who’d held a variety of positions in the Gucci style office since 2002 – was chosen for the position because he’d piqued Bizzarri’s interest during a meeting arranged so that Bizzarri could better understand the dynamic behind the style office and the company’s products. The rest, as they say, is history. After patiently posing for the photographs on these pages, Bizzarri heads to his office on the top floor of the main building. There we begin our conversation by discussing that meeting with Michele and the launch of their adventure together. Born in 1962 and a standard-bearer of the Kering Group that owns Gucci and where he was previously CEO of Luxury and president and CEO of Bottega Veneta, Bizzarri travels back to winter 2014 in his memory: «When I got to Gucci and met with Alessandro, the idea immediately was to build something we really believed in. We didn’t start with figures or marketing. Instead, we asked ourselves, ‘How would we like the company where we’re going to work in the coming years to be? Why are we in the luxury world? Why have we always been interested in fashion?’ And we answered that it was because fashion had always been ahead of the trends, while in recent times fashion and luxury had become a little too marketing oriented. Products were increasingly commercial. 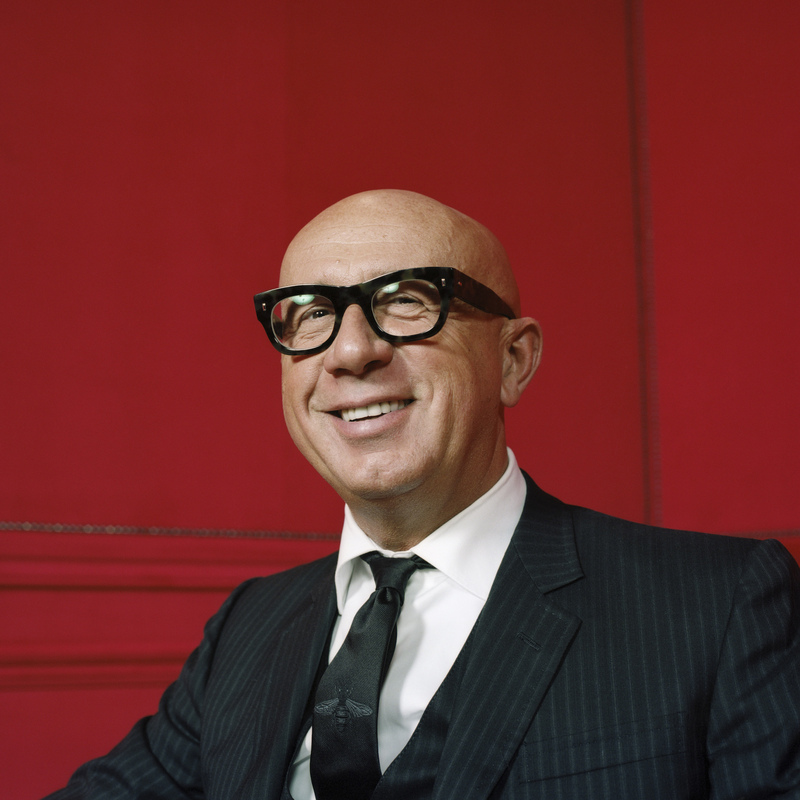 All the advertising campaigns were the same, with the usual celebrities – all treading the same old ground. And this was at a time when change was happening so quickly! We felt we needed to think outside the box. That didn’t necessarily mean being disruptive – and that phrase is overused today – but instead doing something that brought fashion back to its roots by being ahead of the trends and a prime mover of creativity. The business would follow. And we also decided we wanted to work and live at a company where certain values were highlighted: respect, joy, passion for the work we do, a place where people are seen as people. If we think, as we do, that creativity has to be the focus of the entire fashion process, we said, then our focus has to be on people. Because only with people who are good at what they do and happy to work here will we achieve maximum creativity». «That was the start. The paradigm was based on going back to the beginning, to what fashion meant back then: supporting and fostering the creative director’s work, including communications, and then trying to replicate that model and those values within the business areas. Of course, Alessandro was chosen because I saw talent in him – and obviously that exploded and went one hundred times beyond my wildest expectations – but he was also chosen because he was someone I like to have dinner with, a normal person with good values. Everything else stems from that». Indeed, returning to a creative work method that is ahead of the trends and avant-garde and fostering a work environment that feels fun seems to have resulted in a firm foundation that binds Michele and Bizzarri. I ask Bizzarri if he likes the term “avant-garde.” He thinks about it and then says yes, perhaps, but «it depends what you mean by avant-garde». Among other things, he thinks it means «accepting the idea of never settling for what you’ve done, never repeating the same things, because that gets boring. That has to be true throughout the company: if you can, inject creativity everywhere and push yourself to come up with ideas you never knew you had. That method attracts the top talents in the industry, which is what is happening now, but when I got here one of the biggest problems was attracting excellence, because the company was perceived as a place where people weren’t terribly happy». «We didn’t allow ourselves to be influenced by external feedback; from the start fostering creativity was critical to planning for the future». 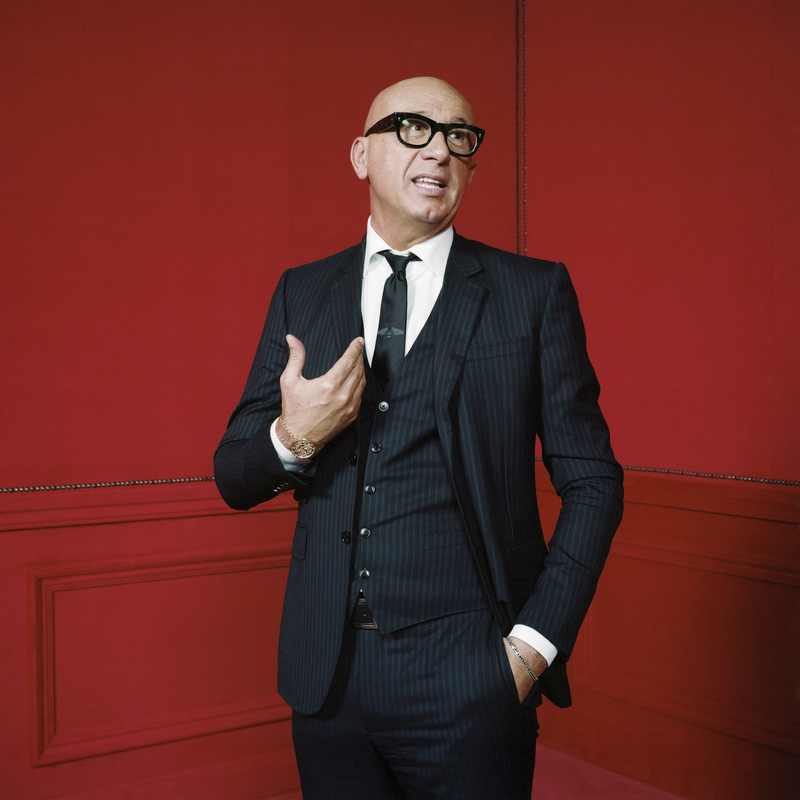 Marco Bizzarri really emphasizes creativity. That’s understandable, given how things are going at the new Gucci. But a manager is a manager, and his number one job is to build a solid business around that creativity and especially to understand how an unexpected boom can be transformed into a sustainable model for the long term. The key, according to Bizzarri, is knowing how to remain true to the initial concept, continuously fostering creativity, day after day, in ways large and small, independent of feedback in the moment. «Three months after I got here», he says, «the Financial Times wrote that the new Gucci business model wasn’t working because we were down 9% that quarter. Under the old way of thinking, that perception would have been a blow to the push toward creativity we wanted to implement. We didn’t let ourselves be influenced, though, and that was critical, especially in the first twelve months, when defending your choices internally and externally without having new products visible in stores becomes very difficult. I repeat: from the start fostering creativity was critical to planning for the future. Then, when the vision is more firmly established, once the esthetic is there to be seen, it’s all clear to the consumer and it becomes clear to internal Gucci personnel, who at that point feel ownership for doing something different. That creates a virtuous circle. Paradoxically, when the strategy is more clearly defined and visible, then you can allow yourself to throw things away and to change». «I think, just as one example, of the surprising advertising campaigns that Alessandro has created using aliens, or the one that revisits the 1968 protests. They’re examples for Gucci employees. That’s true for the esthetic side, but also for business: we undertook a strong organizational change a couple of months ago by joining merchandising and markets under the same umbrella – something that had never been done in the history of fashion, especially not at a time when a company’s revenues were up 45% over the previous year. An outsider might have thought we were crazy to change something that was working so well, but we realized that if we wanted to continue to grow organically and truly grow, while keeping our passion up, we needed to reduce the chance that there was too much control within the company; we needed to let the wild horses run free. That means, for example, making decisions with a limited amount of information, even though we have an incredible amount available to us – looking at just a few numbers, but the right ones. And while it’s true that creativity is our future, you can’t evaluate it using KPIs (Key Performance Indicators, a metric used in marketing to measure product performance on the market – ed.) but with something more intangible. That also means –and this is the most important thing to me – accepting the fact that you don’t understand everything. I look at some campaigns that Alessandro does and think, “I don’t know…,” but he’s earned my trust and my esteem, so I have to accept that I don’t completely understand everything he does. The biggest mistake you can make is to block things off. I really believe that. The world moves quickly today and consumer behaviors are completely different than they used to be. There are certain mechanisms and dynamics that aren’t easy to understand. It’s very important to admit when you are ignorant about something in the strictest sense of the word». An outsider may ask not only why Bizzarri would choose to make changes when things are going well, but how it is possible to base a business on ongoing change at a company the size of Gucci, which today has more than thirteen thousand direct employees around the world. All the rhetoric about legendary Silicon Valley startups is basically based on the idea that new, small businesses can act quickly and be more disruptive than the old dinosaurs. Ideas for generating innovation in big business conglomerates are needed now more than ever. «Fortunately and unfortunately», Bizzarri says, «I get bored very quickly and even something I liked yesterday, when I see it done again the same way, bores me. Also, you need to start with the concept that while being big can be a disadvantage, if you can get thirteen thousand smart people thinking, no startup can beat you. It’s clear that to do that you have to have a quick-acting structure that makes decisions. That’s why I believe our model is much more sustainable than that of certain French companies, though I won’t name names. Alessandro’s message, consistent with the message I’m putting out on the business side, flows to the stores, the product, communications, window displays. Basically, that happens because there’s one person who oversees everything. The models used elsewhere that are more conservative and prudent almost always involve two creative directors, one for men’s collections and one for women’s, an outside communications company that works for more than one brand at a time, a marketing department that decides which products will reach stores. It’s a system that protects you against risk, but today you have to understand that anyone who doesn’t take risks is in trouble. Making decisions more quickly results in a more consistent message». «It’s very clear what Gucci is thinking, while what other brands are trying to do in part is to maintain the status quo, preserve their strength and also to work on a pop-up strategy by tossing out new products and testing them by launching them in a low-key way out of fear they won’t work. That goes hand-in-hand in the fashion world with some recent hires of people whose esthetics are similar to Alessandro’s work methods-so-called mirroring. But if change doesn’t get implemented throughout the entire company network, even the most original message gets diluted». Make decisions quickly to remain consistent. This is another side to the business: How do you stay consistent and at the same time appeal a little to everyone, from European teenagers to American stars, from Asian executives to Middle Eastern aristocrats, while heavily appealing to the youngest consumers in particular. The Gucci phenomenon today is notable largely for that. «Just think», Bizzarri interjects, «two months ago I was invited to talk at a school and found myself facing nine-year-old children who knew everything about Gucci». Even more reason that it’s more than a question of esthetics and product. «I think the real issue is communication. The secret is the digital engagement Alessandro and his team have achieved, all the partnerships they’ve started, more than 150 in the first three years, including with partially unknown artists. I’m thinking about personalities, influential people in niches within the digital world, who have been allowed to interpret the Gucci brand in a completely unfettered way. You’d have to work long and hard today to build a wall around your brand and keep anyone from talking about it in a way other than the way you like. You used to do this: you said, I am Gucci. This is Gucci, and no one can talk about it any other way. The fact is that today interpretation of the brand has been opened up to people Alessandro believes are in some way in line with us, and they have truly been given free rein and space for their own creativity. Having them post their vision of Gucci on social media and getting feedback from consumers is a unique, distinctive element. The way Alessandro plays with the logo or puts the iconic symbols that were once separate together, for example, I believe speaks in a very passionate and direct way to the new generation. Some people say, «How smart you were to recreate Gucci», but that’s not really what happened. We didn’t even know what Millennials were. With Alessandro we never discussed a particular age group or consumer segment. It all happened as a result of the values we put into play by speaking directly to the audience, and that then made the brand explode. We didn’t move from a marketing standpoint. It was simply what we wanted to do». Looking at the Gucci revolution beyond the fashion business for a moment, the feeling is that Michele and Bizzarri have somehow managed to win the most important battle being fought today – the battle for time and focused attention from people, young people in particular, for this or that story, this or that brand, in the middle of the information overload in which we are now immersed. This battle involves everyone – tech players, media, culture and entertainment – and few are victorious. In a 2017 article in La Repubblica, a comment on good economic results began with the following: «Gucci sets records with revenues and profits as Apple did in the Steve Jobs era». The comparison is obviously a little out there, but it’s interesting to know whether, given all this, Bizzarri sees a future for Gucci beyond fashion. «I honestly don’t know», the company’s president sys. The day of this interview, he tells me, he’s attending a meeting with his board to discuss future scenarios. «It’s possible. It depends on how everything evolves. It’s obvious that the sectors are increasingly crossing over into each other when they used to bump up against each other but never overlap: entertainment, TV, streaming, Hollywood, all of it. I don’t know what the aggregation methods might be in the future. Right now communication includes such a wide range of things that it can’t be limited to a single product. I don’t know. Were still in the talking stages, but obviously it’s very much on our radar». Let’s try to bring it back around. Alessandro Michele and Marco Bizzarri, Marco Bizzarri and Alessandro Michele. Ultimately, the renowned Gucci revolution depends on their relationship and the story it tells. The manager and the creative. There’s a cover from System magazine a few years ago much discussed in fashion. Together, the two men pose for a Juergen Teller photograph, smiling. The tagline reads, «We smile, we say hello to everybody, we enjoy ourselves». So it’s only natural to ask, in closing, what their relationship is like now and whether over these three years they’ve changed and how. And how much the desire on both their parts to make Gucci and the people who work there grow has ended up causing them to grow as well. Bizzarri smiles (he does so often, with enthusiasm): «Yes, I’ve changed. Alessandro, to me, was an explosion and an ongoing surprise. He’s a remarkable kid and it’s really fun to talk to him. We never talk about work. If we both have a problem, or if we see there’s a problem at the company, we pick up the phone and compare notes. Our relationship has evolved in ways that keep us in sync, which has always been my ideal between a CEO and a creative director. It’s not an issue of who reports to whom. We play two completely different roles. I have great respect for his ability, as he does for what I do, and when we intersect we confer with each other. Obviously, Gucci has made me grow. The success that I’ve had here cannot be compared to any of the wonderful things I did before. It was a surprise for me. When François Pinault offered me this job, I didn’t want to take it. I was happy where I was. But this is the brand that’s closest to me personally. In esthetic terms, too, Alessandro’s maximalism really appeals to me. The colors are joyful, and the desire to work reflects my credo – then there’s the great respect we have for people and receive from them. Obviously, we’re not perfect. Some days things go well, and other days they go badly. But what we’re trying to say to those who work with us if this: If something at the company isn’t working, raise your hand and say, ‘I want to change this.’ Just like we do».